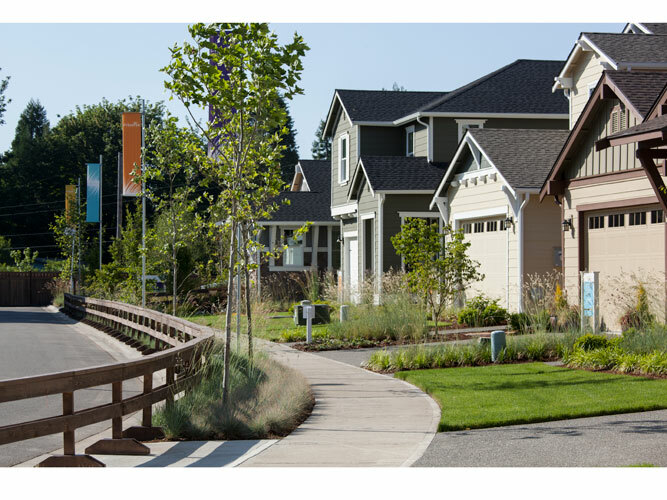 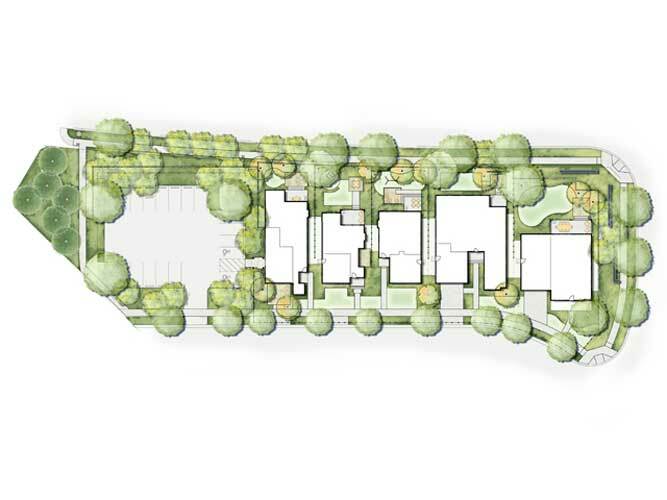 Communita completed the landscape design and master planning for this new residential community in Thurston County. 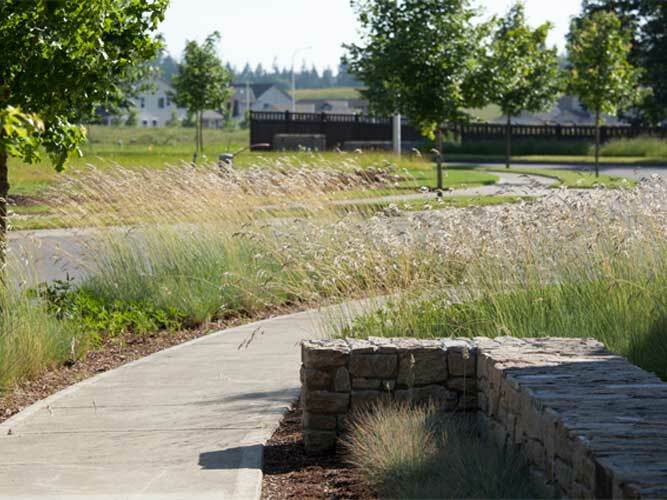 A twenty-five acre South Sound Prairie preserve is the heart of the community and this ecological element was used as the inspiration for the design choices our team made. 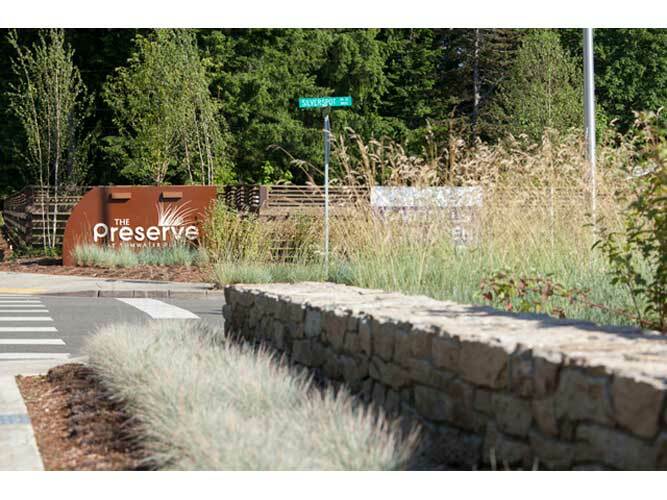 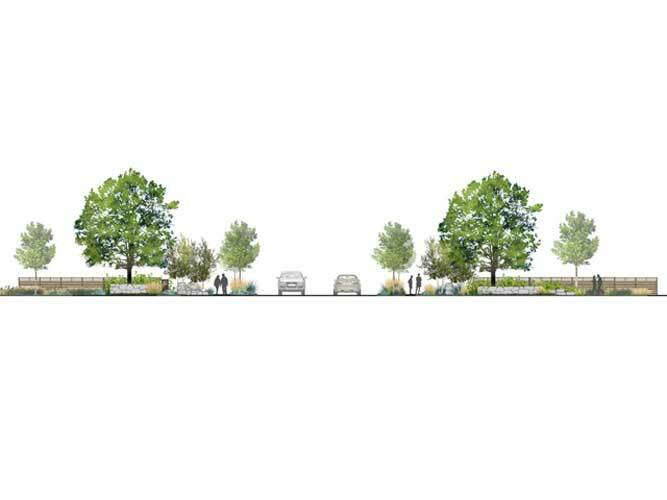 At the community entrance, native specimen trees celebrate the local ecological heritage and prairie grasses add texture and lend a casual but sophisticated feeling. 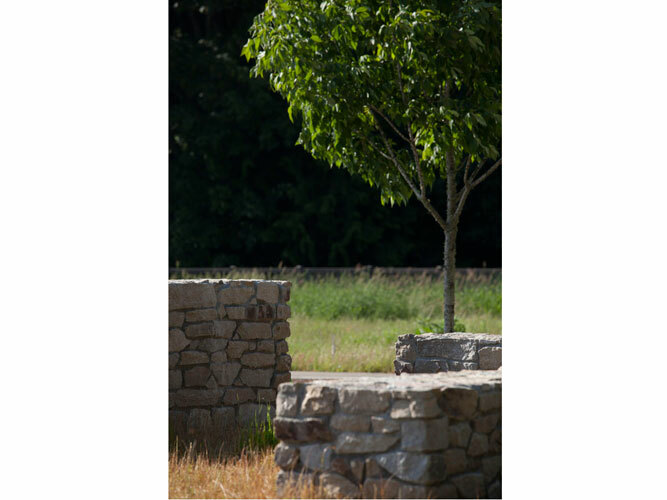 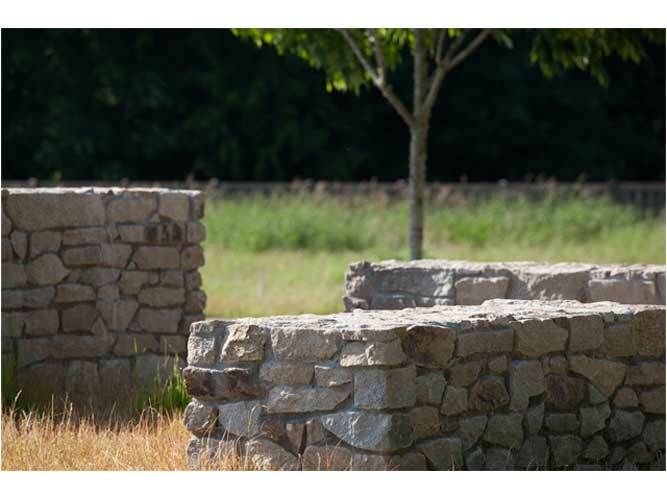 Low stone walls add visual structure without limiting views and horizontal slat wood fencing allows for privacy while still feeling open. 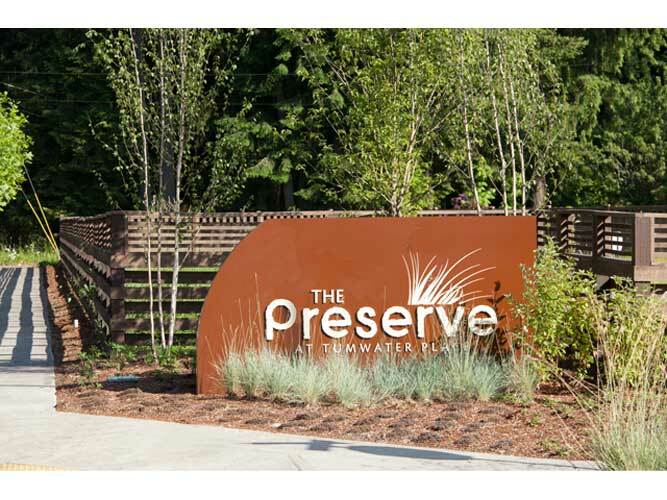 The steel slab community sign visually connects to the surrounding walls and landscape. 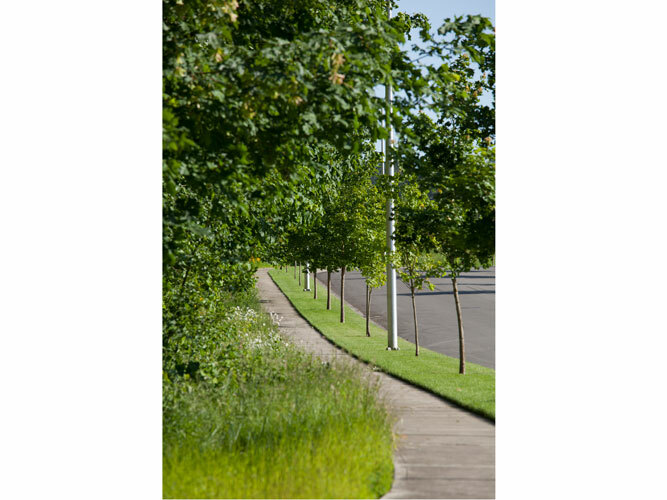 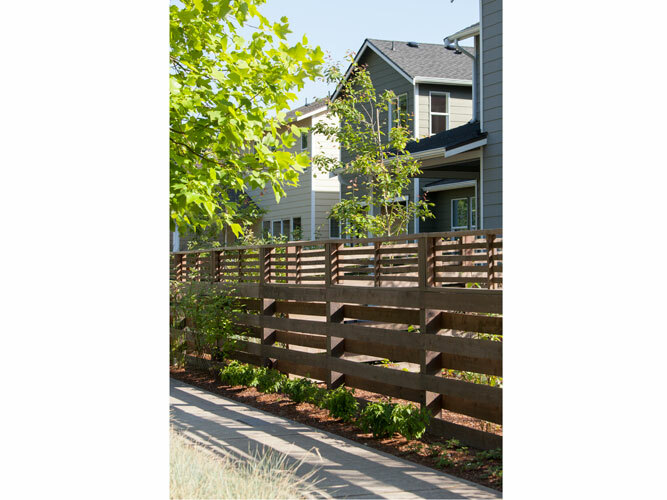 Walkways, amenity spaces, planting, design, and model home complex entrapment fences provide a cohesive, intuitive experience for buyers. 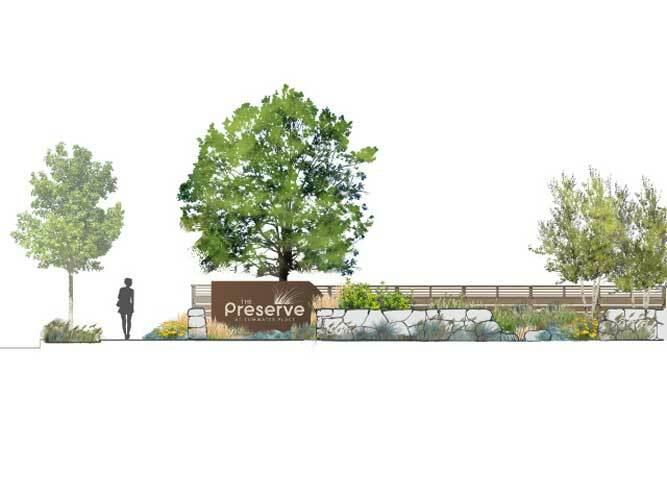 Careful attention was given to the Sales Center entrance landscape. 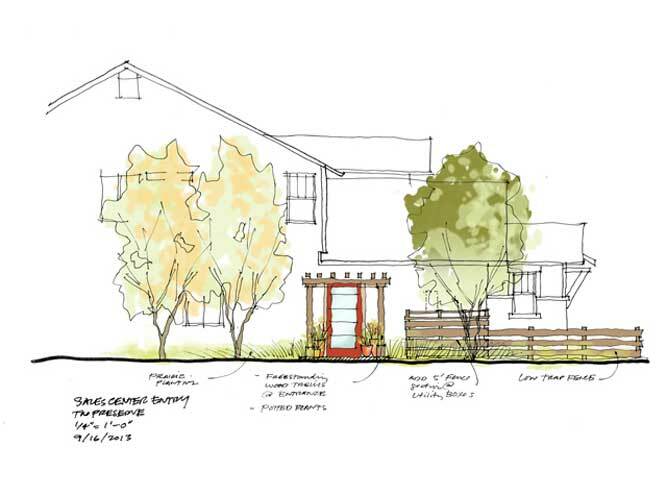 The entry experience welcomes visitors with its heavily planted landscape, trellis, fencing, and stone paved porch.